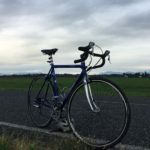 I started writing this post to talk about how I see the general state of getting around by bicycle in the greater Bellingham/Whatcom area. 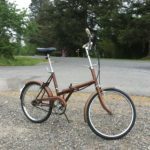 My address is Ferndale so I began writing by commenting on the general state of getting around and through Ferndale by bike. Before I knew it I had the whole screen filled with just Ferndale alone, so I retitled the post Difficulties Getting Through Ferndale. Then I thought about how to fix things instead of just commenting. Then I thought about how to make some fixes without waiting until forever, or until the Thornton Overpass is finished, whichever comes first. 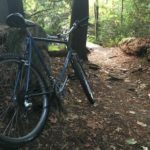 Then I, for the last time, retitled this post which is now known as, Six Low Dollar Fixes for Ferndale’s Trail System. 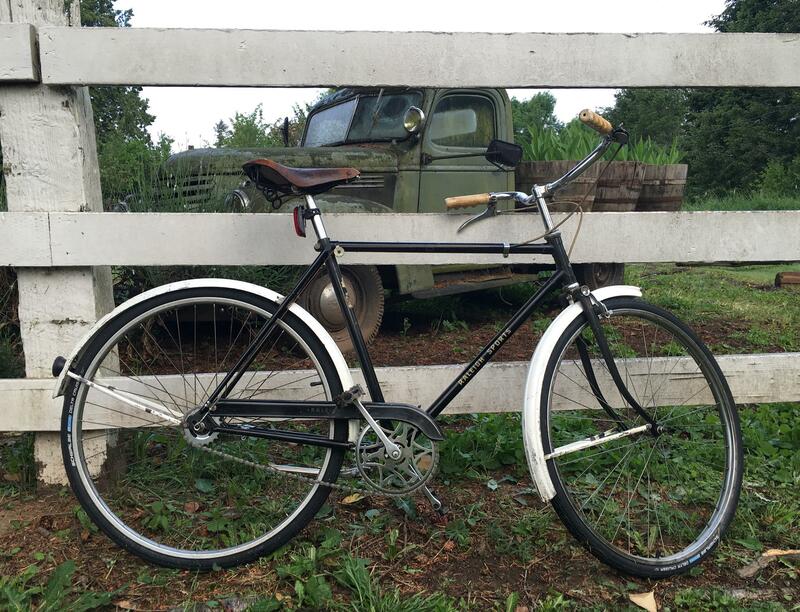 First, why do I think Ferndale should improve things for bicycle/pedestrian travel? 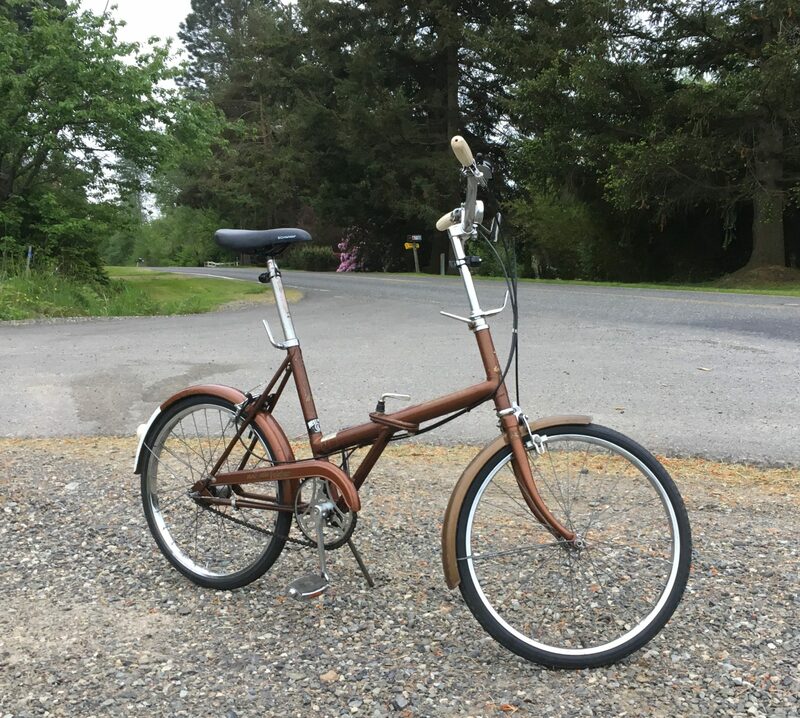 Well, Ferndale should improve things for bicycle/pedestrian travel because Ferndale has destinations such as Hovander, Pioneer Park, and the recently added Star Park, etc. Ferndale could also be a waypoint for bicyclists going to Birch Bay if they could safely navigate through downtown. 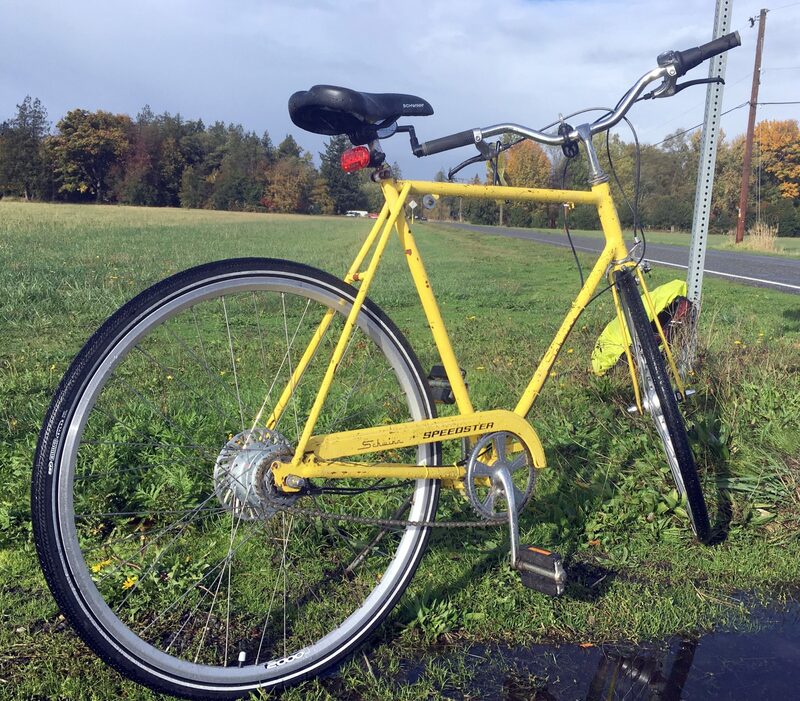 More ways to travel to, through and around Ferndale means more business for Ferndale. The City of Ferndale also fancies themselves as a bedroom community to Bellingham, yet doesn’t offer a safe route for a cyclist to get from their bedroom to Bellingham. Wouldn’t Ferndale be a more attractive place to live if it’s residents had a safe direct walking/cycling route to jobs, recreation and entertainment in Bellingham? And why would you put all the new bedrooms (aka. apartments) on the side of the river that only increases traffic through the already congested downtown corridor? 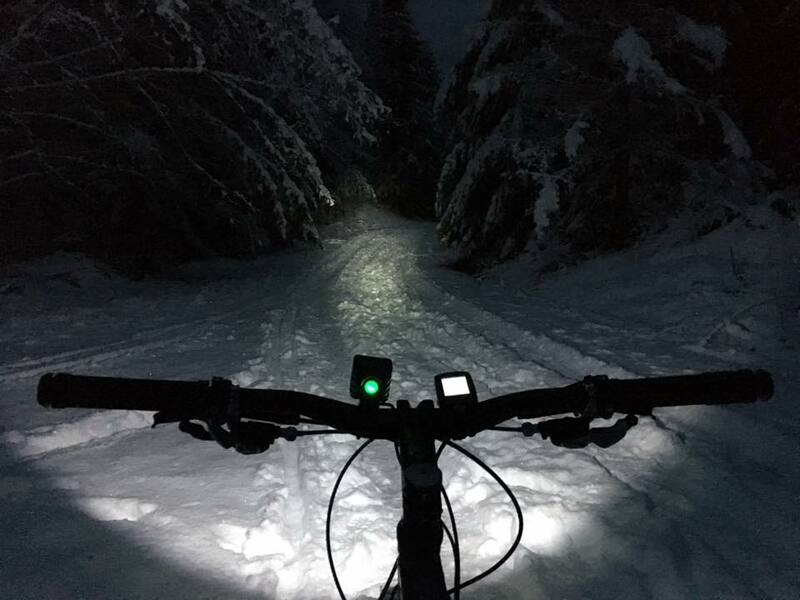 But let’s focus on the more recreational aspect of trails and paths now because I think some are doable in the very near term. 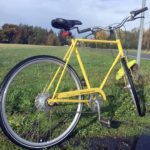 I had a look at Ferndale’s official parks plan to see if any new projects were on the horizon that might improve walking and cycle travel in Ferndale. I wish I had found something, but I didn’t. I figured with all the expensive improvements such as the Thornton overpass, Star Park, AC for the new library, etc, there wouldn’t be much in the way of dollars left for trails, but I did think I would at least find a plan for improvements to bring Ferndale up to speed. Like I said, I didn’t. 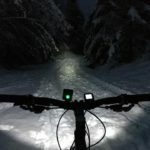 I didn’t find any sort of plan to solve this current trail situation, especially the lack of connection between trails and parks, but in reading the parks plan I think I discovered why. 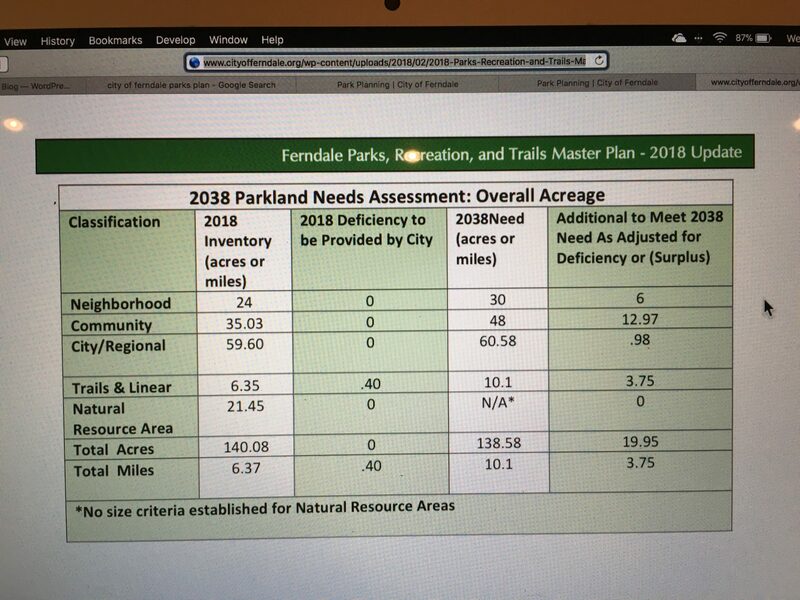 I think that Ferndale doesn’t have a strong plan to bring their trail system up to speed because Ferndale doesn’t think they have a problem or even a need to expand their trail system. 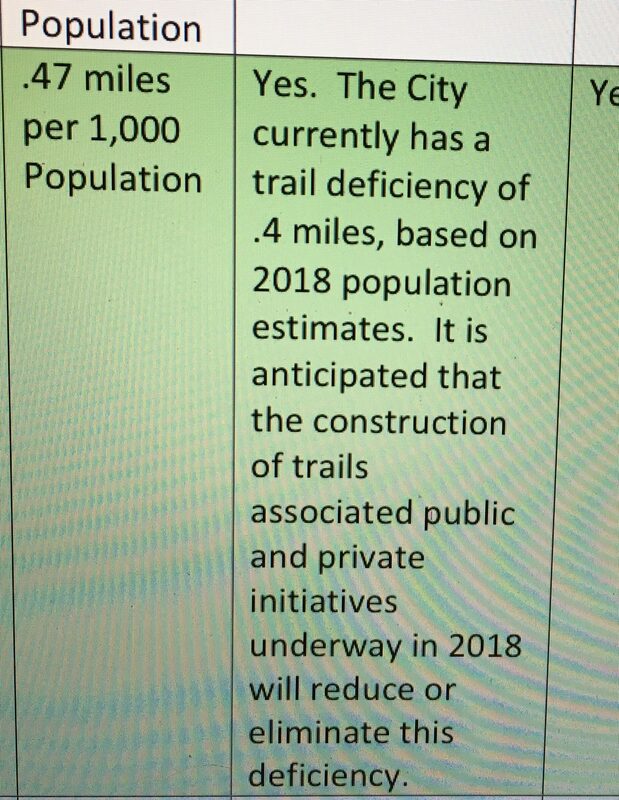 In their parks plan, I found they have determined that to bring their trail system up to speed they need to add only 0.40 more miles of trails…wah wah wait! Really 0.40 miles? Less than half a mile? That’d do it? No. I walk and bike in and around Ferndale and let me assure you, 0.40 miles ain’t going to do it. 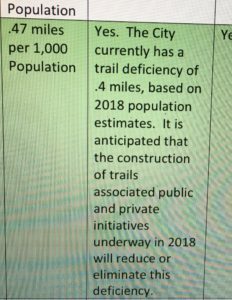 A person can’t safely walk, let alone safely bike, from one side of town to the other in any direction, but just 0.40 miles of trails is all that is needed? No. On paper Ferndale may be just 0.40 miles short of the standard, but Ferndale also has to deal with the problem that most of their trails are short and don’t join with other trails to form long continuous routes to points of interests, or from points A & B, or even just across town. 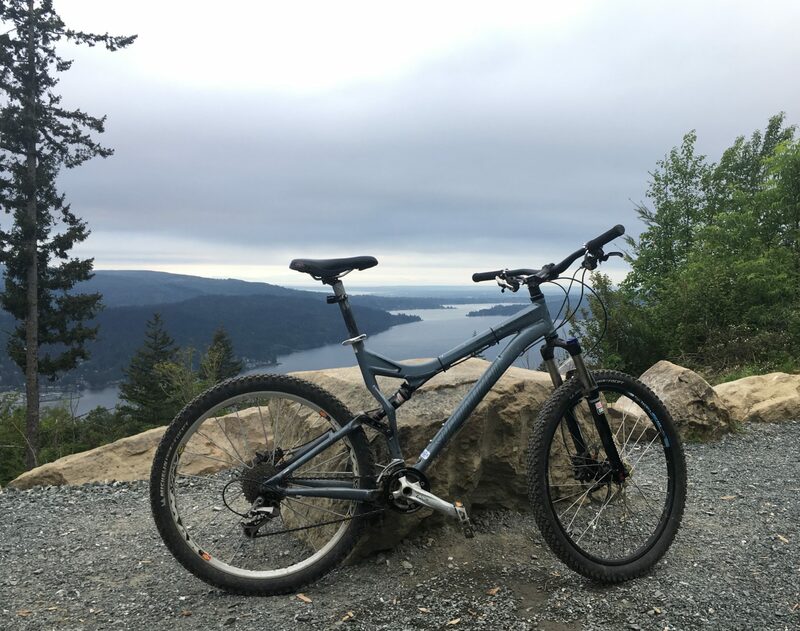 The best bang for Ferndale’s buck would be to spend first on connecting existing trails, not adding more disconnected trails and not adding more fluff like expensive signage and plants. Safely connect trails first. 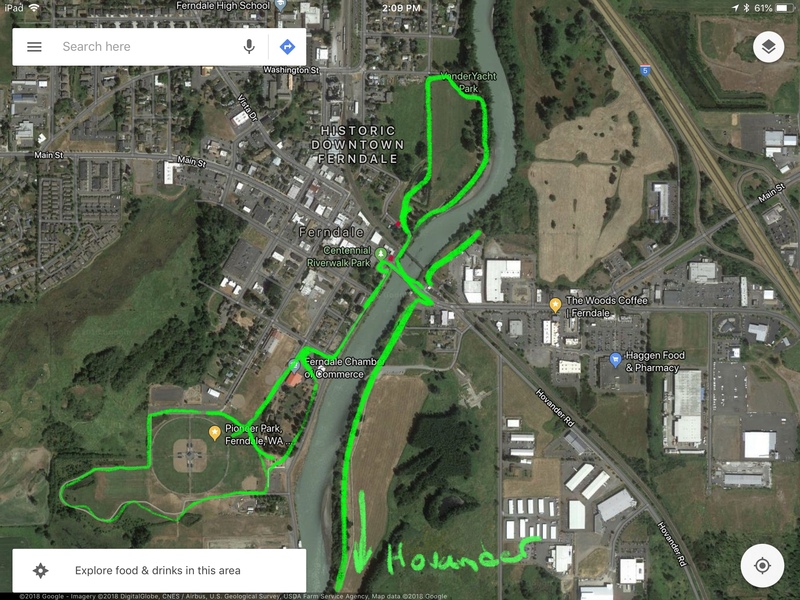 Also many trails in the inventory are private or not really public, and the longest “trail” in the inventory is Ferndale High School campus which actually includes the running track as a trail, to achieve the longest trail in Ferndale status. Call me stupid, but the running track at the high school doesn’t count as a community trail unless I can take a late morning stroll there with my dog, in and amongst all the kids doing sports and such. Ferndale’s 21 unconnected trails averaging about 400-500 yards apiece is not a trail system, it is a chopped up mess. 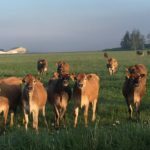 We have a problem and to make Ferndale a better place for everyone, something must be done. 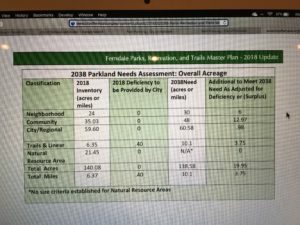 Any fix though, begins with the City of Ferndale admitting they have a need/problem. They need to admit things like, that Main Street is not a park or that trails should connect to each other. From that point of self-reflection, a real plan can be developed and any funds that come available can be directed towards tasks that are part of the plan, not just patches or sidewalks to nowhere. Big beautiful Crosswalk – Stop traffic at the end of Riverwalk park and make a big wide wonderful safer crosswalk for everyone between Riverwalk park and Pioneer Park/Senior Center/Pavilion. This would allow cyclist/pedestrians safer street crossings and a safer road/park transition for cyclist. It would also set the tone for traffic entering Ferndale from the south. It’s crazy that both ends of Riverwalk Park have sidewalks that end at a busy road, yet neither end has a crosswalk. On the west side of the river – completely eliminate vehicles going under railroad tracks at the car wash to create a pedestrian/cyclists centric path from Vander Yacht to the Main Street bridge crossing. On the east side of the river – extend the path from Hovander area under Main Street and the railroad bridges with connections to the Main Street sidewalks on both north & south sides. In the future, this path would extend to whatever becomes of the old golf course. On the Main Street bridge – extend existing fenced sidewalk down past where trails meet road on both sides of river to better direct/protect pedestrians & cyclist, as well as ease a little tension for drivers in this already stressful area of Main Street. Improved trails from Riverwalk Park through Pioneer Park area and beyond, creating a loop around ball fields that connects to Star Park, Boys & Girls Club, bathrooms, bike park, etc. Lastly, fix/eliminate Main St. Intersection/non-intersection at True Value Hardware. That area is confusing, very busy and as a result it is dangerous. If not returning this to a stop light intersection with controlled safe crossings, then left turns on and off Main Street should be banned in this area altogether, a center curb would help with enforcement. The sum total of these fixes would join several trails into a large network of trails connecting Vander Yacht, the ball fields, Star Park, Bike Park, Boys & Girls Club, and Hovander without exposing cyclist and pedestrian to the worst traffic that Ferndale has to offer. It would also allow people to enter the system at any point which would reduce localized parking pressure during events or simply sunny afternoons. 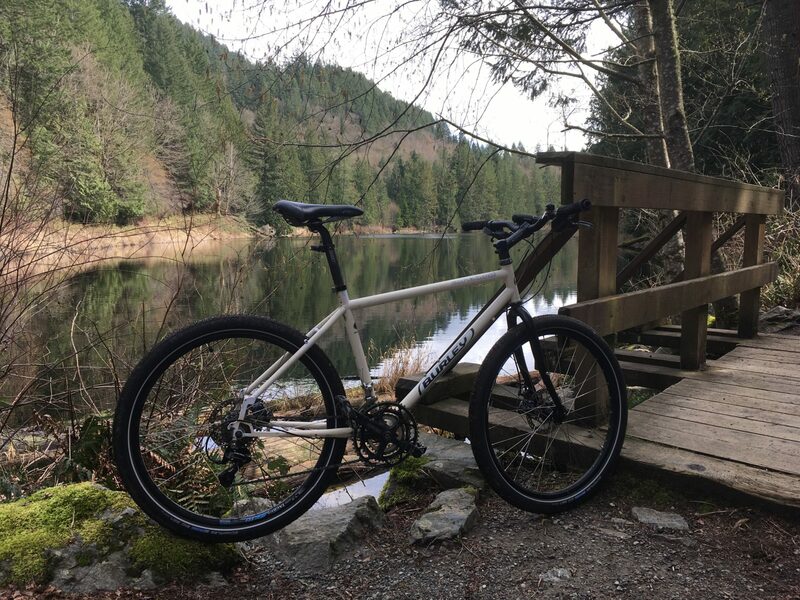 On one of these nice spring days, I will ride these paths even if the don’t exist, in the same fashion as I ride the yet to be built Nooksack Loop Trail and I will turn on my sports tracker app to get a better idea of how much trail there is and isn’t. 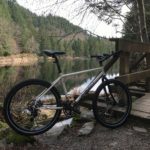 **Update** – Yesterday was one of those nice spring days and so I did turn on my sports tracker app and rode the system of loops that I envision for Ferndale. I also grabbed a few pictures. Then I went for a beer at Coconut Kenny’s. I plan on doing a more thorough write up, but briefly, I parked at Pioneer Park, rode around the ball fields, along the river to Vanderyacht, out to Edaleen’s :), back across the river the north side, under the bridge, through the dog park, down around Hovander Park and then riding back to Pioneer Park. About 8 miles and 1 hour. Pedestrian/Bicycle underpass on west side of river directly connecting the trail from Vander Yacht to Riverwalk without a crosswalk. 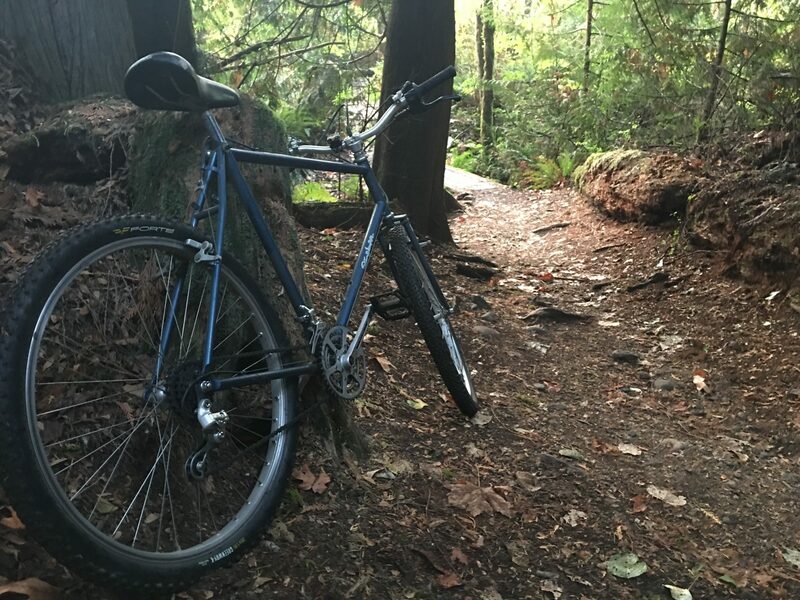 This might seem tight on space, but if you’ve ever traveled the Burke-Gilman/Sammamish Trail between Bothell and Redmond you’ll have seen it done well in some very tight spaces. Create Pedestrian/Bicycle underpass at Slater Rd. 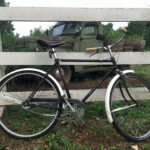 – adds many more miles to the existing trail system that would then run from Vander Yacht Park all the way to Marietta without a traffic crossing. That would be over 5 miles of continuous trail, along a beautiful river. For some perspective, Bellingham’s Interurban trail is much talked about, yet only 5.9 miles on its own. With regards to the viability of underpasses below both the Main Street Bridge and the Slater Rd.bridge, my feeling is that if there is enough room for people to live comfortably under a bridge, which they often do, then there is enough room for a pedestrian/bicycle path. Something like this would be a great connected trails system. Really? 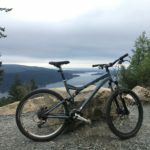 Just a little less than a half mile of new trails will bring Ferndale up to speed? 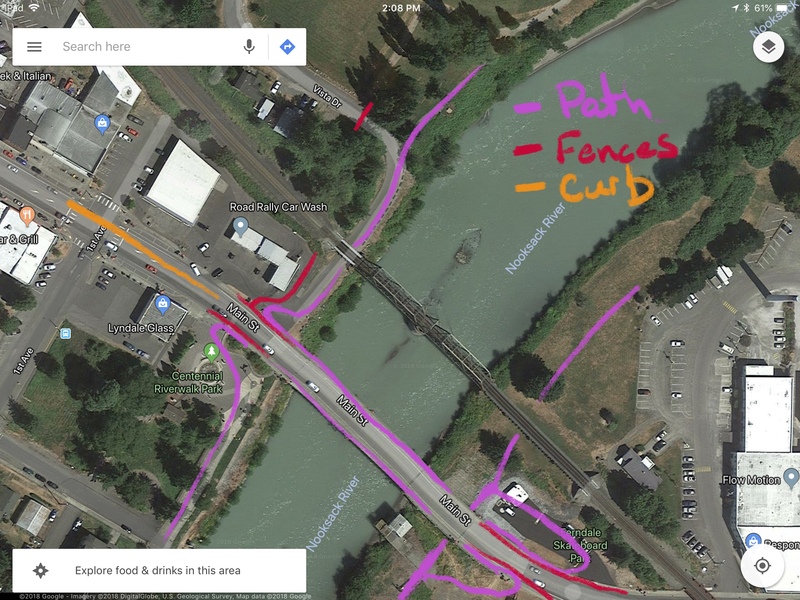 Here’s some of my original notes on actually navigating through Ferndale by bike. Ferndale traveling East/West – I am quite sure that Ferndale looks good on all their legal/official papers/reports/plans, etc. In reality though, I think bike travel through Ferndale both in the east/west and the north/south directions really stinks. The primary east/west route is the Mountain view/Main street/Axton corridor which at any times other than maybe 4-7am is so freaking dangerous that it should really just be off limits to bikes. First, Mountain view has no shoulder going in/out of town on the west side as well as a steep hill with very limited sight distance for spotting cyclists in the roadway. Next, the whole downtown area from the 7-Eleven to the Freeway may have some designated little pavement markers about being bike lanes, but traffic is so heavy, drivers so frustrated, and traffic markers so confusing, that I can in no way recommend traveling through town by bike. Then there is the freeway overpass and the Mcdonalds/Pilot intersections. The freeway overpass should just be a get off and walk for everyone, it’s that simple. There is no bike lane, and there isn’t room for a car to pass a bike, but that doesn’t stop the drivers from trying to pass anyway which really endangers the cyclist. And Axton to the east, well it’s one of, if not the busiest road in Ferndale and there are no bike lanes nor paved shoulders, and the gravel shoulders have an unsafe and rutted transition so a cyclist can’t just move over to shoulder as cars approach. Smith Rd. Is also an east west connector, even though it comes into town from the South via Labounty. 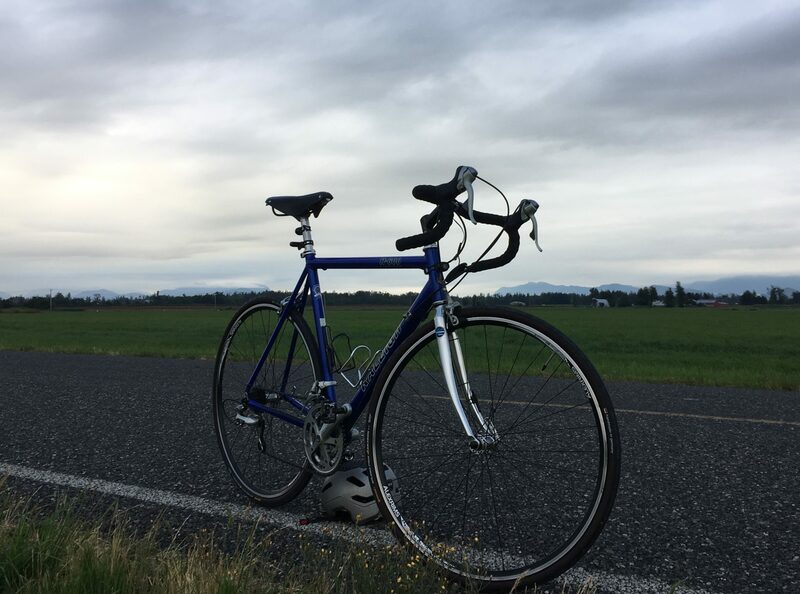 As a county road, Smith, like Axton, is a busy but wide easy to ride road, but on both roads when you hit Ferndale city limits the shoulder just disappears and you are on your own. Ferndale traveling North/South – Traveling north/south isn’t as bad as east/west mainly because most of the vehicle traffic volume is going east/west not north/south. Into town from the south there is the Smith/LaBounty route which is mostly good on Smith (see above) and ok, no shoulders on Labounty. if you are going to eventually want to be in town or perhaps Hovander area, Smith to Hovander road is also good. 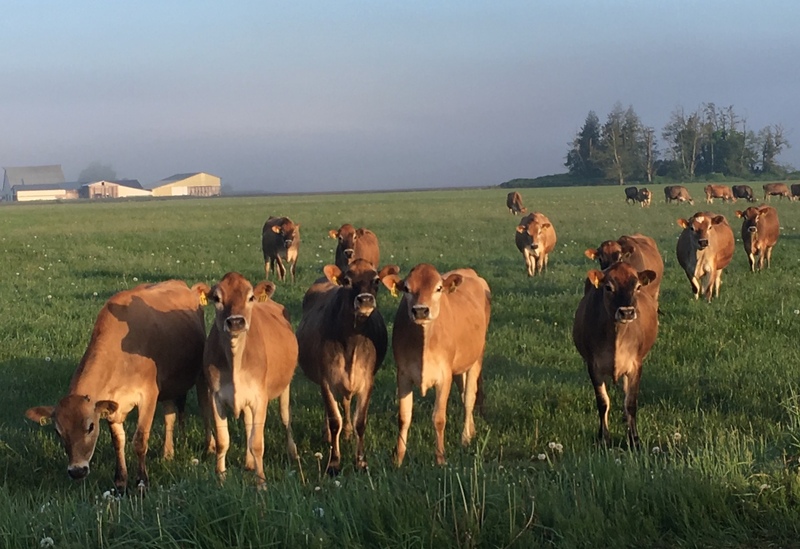 Hovander has no shoulders, just nice soft lily pads for the most part. Also from the south is Ferndale Road, which would be a good route even with no shoulders, except it crosses Slater and anything around Slater gets my spidey sense tingling. I think it’s about time that a light was put in at Slater/Ferndale road intersection. Not just for bikes, but also to slow down casino traffic and offer a safe way for traffic to turn left, any left. Going out of town north, you have Vista and Portal. Vista is nice and wide out to city limits and then boom no shoulder. Fortunately most of the worst traffic is behind you at that point. Same with Portal.